Public Service Commission office in Srinagar. Brimming with hope, Shaista Aziz, 28, was delighted to see her dream notified on newspapers. It was a Public Service Commission (PSC) notification of June 18, 2016, about J&K Combined Competitive examination, the KAS. A resident of Hyderpora (Srinagar), Shaista had an additional reason to be happy. In April 2016, she got engaged to her cousin, Saqib Hamid, a 2011 batch KAS officer. A banker and an MBA, Shaista was keen to qualify the state’s coveted examination even before Saqib had thought of it. This time, there were more vacancies: 277 – 269 vacancies in Junior Scale Administrative Service, two in J&K Police Service (Gazetted) and six in J&K Accounts (Gazetted) Service. Before applying formally, she went to see her fiancée to discuss the strategy as the last date of submission of forms was July 22, 2016, and the scheduled date for conducting prelims was September 25, 2016, and mains in November, same year. With few inputs about the preparation, Saqib suggested Shaista keep her cell phone off, even asked her to stop talking to him till the examination is over. Formalities over, she opted for Public Administration as a subject and intense preparations started. Twenty-one months later, Shaista is the mother of a baby girl, Tamana, but the process of her dream exam is yet to get completed, courtesy PSC’s controversies and postponement and partly the Kashmir situation. In between Shaista lost the interest as being the mother emerged her primary responsibility. In 2016, when the aspirants were preparing for the exam, the July turned things upside down after Burhan Wani’s killing. Finally, the preliminary examination was scheduled for February 19, 2017. But before the PSC could actually conduct the exam, there came another notice, “It is for the information of all eligible candidates who have applied for the posts under Combined Competitive Examination, 2016 in response to Notification No.PSC/Exm/2016/52 dated:18.06.2016 that the Preliminary Examination which was earlier scheduled for 19.02.2017 shall now be held on 12.03.2017 (Sunday) in two sessions.” The reason was to facilitate the similar examination notified in 2014. March 12, was Holi, a public holiday. Then, it was changed to Sunday, March 19. In the preliminary exam, 36,681 candidates appeared and the results were declared over a month later on April 24, 2017, in which 6,925 candidates qualified for the next round, the mains. The mains were scheduled to happen on July 17, 2017. Seven months later, they are yet to take place. Lamenting her luck, she says when she entered the bank in 2013, she avoided lifting a slightly low-cost bank loan so that my exit would be easy”. But now, she owes the bank a million bucks loan. “ “Even if tomorrow I am selected, where from I will get the money to repay the bank,” She asks. Tauseef Sheikh, a resident of old Srinagar had finally his name in the selected list of candidates on April 24, 2017, after many failed attempts. A mason’s son, Tauseef, got himself locked in the room to see his dream come true. But the shock in the store was out on August 9, when PSC did the unprecedented. They issued a revised list in which 429 candidates were declared ineligible and replaced them with a fresh 429 candidates. Those declared ineligible included Tauseef. Shattered, he had no source to know what actually had happened. He closed his books and joined a nearby private school to earn his livelihood. What later came to the fore was that in the notification No PSC/Exam/2017/22 dated 23rd of April, 2017, the cut off was declared as 270.477 points and in the revised list vide notification No PSC/Exam/2017/44 dated 9th of August, 2017, the cut off was set at 277.275 points. 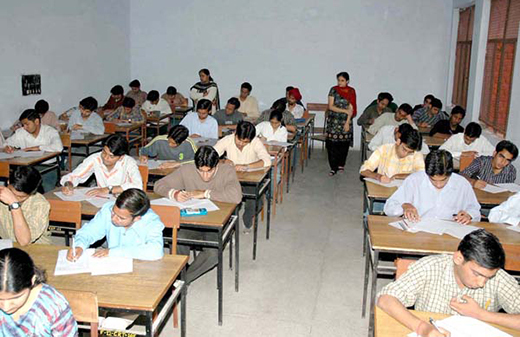 This led to exclusion of 429 candidates who were declared eligible in the first merit list. The court on August 24, 2017, directed PSC to treat the writ petitions of the petitioners as representations and consider the same in accordance with the law within a period of four weeks, but commission instead issued a notification No PSC/Exam/2017/49 dated 25.08.2017 post, declaring 429 candidates ineligible for the main examination. Keeping the fight in the court on, finally, the candidates had a respite on December 30, 2017, when High Court directed PSC to allow 429 dropped candidates to sit in Mains examination. This came on February 08, but PSC had already announced a start date for Mains from February 15. As Tauseef heard about the development, he had mixed feelings. Happy, he can sit for the exam, sad, because his momentum was lost the day PSC disqualified him. Routinely caught in the controversies, this is not new to the PSC. In case of KAS-2014, there were worse instances of threatening the careers and leaving the aspirants in a lurch. Finally, the case was disposed off in November 2016, around two years after the date of notification and the Mains were conducted in February 2017. Keeping the aspirants lingering, the PSC after many pulls and pressures declared results in December 2017, around ten months after the Mains exam. “If a single exam by a prestigious agency takes three years, what bad is if flyover takes a decade,” says Abdul Hamid, a candidate who finally qualified KAS-2014. Having a full-fledged PSCand still being unable to deliver in a transparent and efficient way is a serious concern, says a senior bureaucrat. “The commission cannot blame the court intervention because PSC gives a reason for candidates to go to the court,” he said. File image of aspirants appearing in the competitive examination. 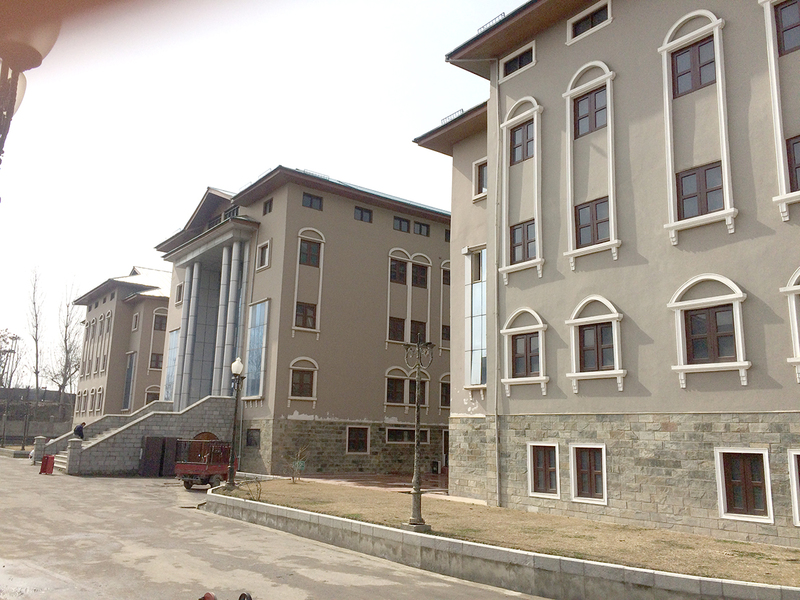 An insider in the Institute of Management, Public Administration and Rural Development, IMPARD, the premier training institute for the administrative services, said the last batch they trained was in 2014. “For last three years, we got no batch of administrative services. We were supposed to get the batch, whose results were declared in December 2016, but it is February already and we have not received anybody,” he said. The official believes political-will is missing to take the prestigious PSC exams to the level of UPSC. The state has only adopted the syllabus of UPSC but not its calendar. “I am around 55 years old and since my childhood, I have never heard the IAS exams were not held on time. They too face litigations but they don’t make other students suffer,” the officer said. He calls it worst because the litigations in Jammu and Kashmir courts are not only for the final lists but even for the question papers which indicates there is definitely something wrong with the administrators. The delayed recruitments by the PSC have already created a void in the administration. There are more positions than officers. A Tehsildar was given additional five more charges. “It is same with many others senior officers. It has not only overburdened us but the common people are suffering when we cant give them time and do our work,” an officer admitted. Meanwhile, the state government has also stopped induction of KAS officer to IAS list. And with the recent retirement of at least five IAS officers and 11 J&K cadre top bureaucrats already on central deputation, the Jammu and Kashmir government is facing a severe shortage of IAS officers. With the result, the serving officials have been burdened with dual charge or in some cases the work of more than two departments. “The state is facing a severe shortage of IAS officers. As of now, the fixed strength of IAS officials in the state is 137 against the availability of 84 officers,” says an insider. And in view of the shortage of bureaucrats, the state government is now considering to raise the issue with the Centre for amendment in service rules of IAS officers in the state. “Presently, an IAS officer is posted as secretary only if he has 13 years of service. But the government is considering to appoint an IAS officer as secretary of 2009 batch even if he or she has nine years of services,” an official said. Despite repeated calls, the chairperson of the PSC did not attend the calls.